'White people aren't natural to Earth', says Nation of Islam leader, accuses Jews of being imposters who 'stole Palestinian birthright'. Nation of Islam leader Louis Farrakhan challenged prominent Jewish Americans to a debate during a sermon this week, while claiming that Jews have “no connection” to the Land of Israel and that whites are ‘unnatural’ people. The controversial 85-year-old leader of the Chicago-based Nation of Islam spoke at a sermon in the Mosque Maryam in Chicago Sunday, following his return from a trip to Tehran, during which he was filmed leading a group chant of “Death to Israel, Death to the US”. Footage of the sermon, which was released on Tuesday, shows Farrakhan reiterating Nation of Islam claims that white people are “not natural people on our planet,” the Nation of Islam’s newspaper The Final Call wrote. “Yakub, the father of the white race,” said Farrakhan. “He really taught the devil's lies. He was a black scientist. He's a liar." The Nation of Islam has claimed that non-blacks were created by a rogue scientist, Yakub, 6,600 years ago. Farrakhan also said that blacks are the authentic Semites, claiming that the Middle East – including the Arab world – was originally entirely black. "All that Middle Eastern area was once black. All of it! Not some of it. All of it. You call it Saudi Arabia. Look at those people. They're not the original Meccans. No, that was black." 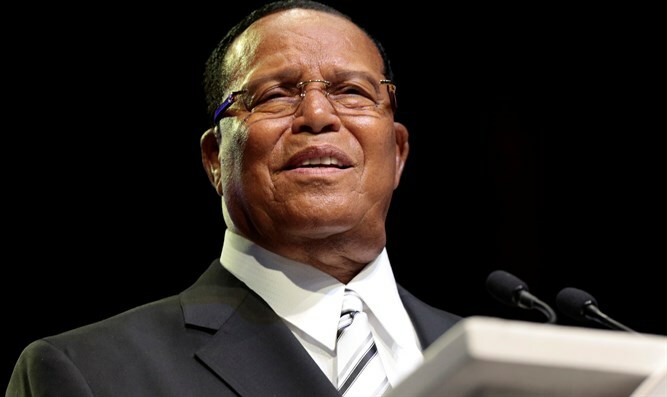 The Nation of Islam leader, who has frequently used anti-Semitic rhetoric in his sermons and invoked classic anti-Jewish tropes, accused Ashkenazi Jews of being interlopers with “no connection” to the Land of Israel. “You're not a native Palestinian. No, you're not. You didn't originate there. But if you did, you're the real Semitic people. But the Ashkenazi European, he has no connection at all to the Holy Land. None! Prove to us that you are Semitic!" Later, Farrakhan called on prominent American Jewish figures to debate him publicly, saying many Jews “want me dead”. Farrakhan has long been a controversial figure within the Black Muslim community in Chicago, praising Adolf Hitler as a “very great man”, and slamming Judaism as a “gutter religion” during a 1984 speech, leading the US Senate to condemn him in a unanimous 95-0 vote. Earlier this year, Farrakhan accused Jews of practicing “Satanism” and ‘infecting’ the world “with poison and deceit”.